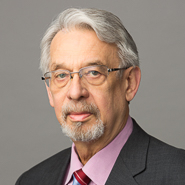 Marshall, Gerstein & Borun partner Donald W. Rupert co-authored an article titled “No More Freebies: A common Sense approach to owning your innovations,” published in the September 2013 edition of the ACC Docket. The article addresses the many challenges companies face in ensuring they own their innovations, which arise from both the way innovations are developed and the way that companies do business. Using a hypothetical conversation between an in-house and outside counsel, the authors discuss these challenges and possible solutions for proactively securing ownership. To read the article in its entirety, click here. Reprinted with permission of the authors and the Association of Corporate Counsel as it originally appeared: D. Shulman, D. Rupert, “A Common Sense Approach to Owning Your Innovations,” ACC Docket, September 2013, DD10-DD15. Copyright © 2013, the Association of Corporate Counsel. All rights reserved.